Jason Willey often has people howling with laughter when he performs with Red Octopus Theater. As one of the movers and shakers behind this troupe for the past decade or so, Jason often writes and produces and directs for this topical sketch comedy troupe in addition to acting in it. He can also usually be found cranking out press releases for it and doing whatever needs to be done. In addition to appearing with Red Octopus, Jason has been a fixture on the local theatre scene. He has appeared in many productions with The Weekend Theater as well as on other local stages. Jason has also appeared in numerous Arkansas-based films over the past few years. He has lent his talents on many film crews as well. He is an avid supporter of local film festivals as well. In short, if it comes to an aspect of the acting profession in Arkansas, Jason has probably been involved. On Tuesday, November 1, starting at 10am, the Arkansas Symphony Orchestra will be giving away FREE tickets to their November 30 “Thank You to Little Rock” concert. The tickets will be available on the front steps of Robinson from 10am until 6pm. If they run out of tickets earlier than 6pm, they will end it earlier. So don’t wait until evening Rush Hour! This November 30 concert will be presented to thank Little Rock voters for their support of the Restore Robinson project. It is also in appreciation of continued patronage by audiences as the Symphony has been performing in other venues. Don’t miss on this opportunity to attend a historic event in the restored Robinson Center Music Hall! 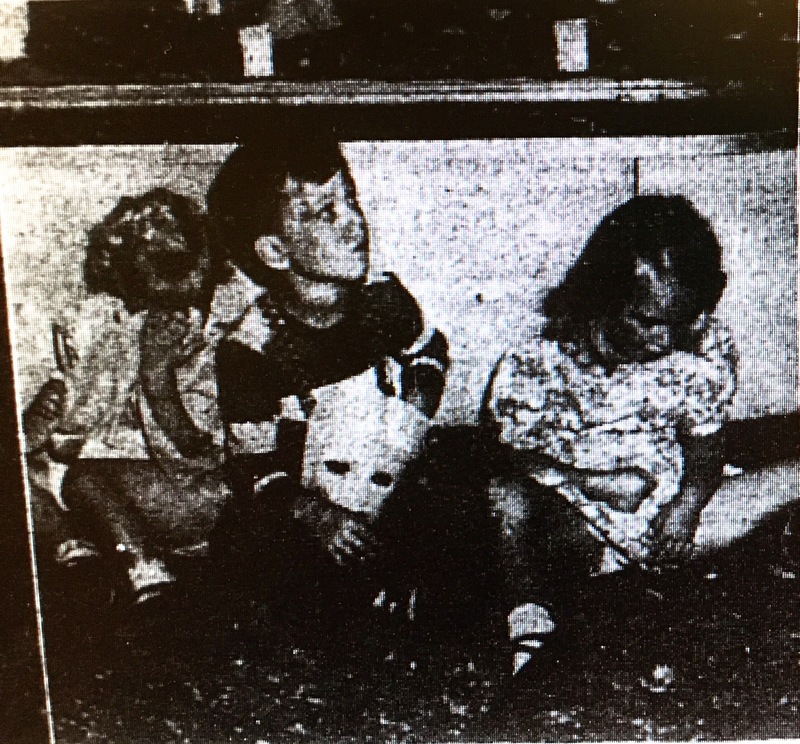 A Gazette writer noted that two teen boys were dressed rather convincingly as girls. One was described as “rather pretty” until letting out an expletive which the paper reported as “g— d—–” and thus outing the individual as a male. After a career in journalism and public relations, Jason Wiest is now focusing more on the entertainment side of Little Rock. As the owner of Club Sway, he programs a variety of music and theatrical events. While Club Sway operates as a bar, most nights there are special performances. Jason provides SWAY as a staging area for locally produced parties created by GlitterRock as well as featuring nationally known entertainers. For the second year in a row, Club Sway is producing The Rocky Horror Show during Halloween. The final two performances are tonight and tomorrow at 8:30pm. Jason has also been an active board member with Ballet Arkansas, giving special assistance as they planned their move downtown. He has also been a supporter of film festivals in downtown Little Rock. Werner Trieschmann is a playwright-teacher-writer-you could keep adding hyphens and words. His numerous plays — including Dog Star, Wrought Iron, and Killers — have been staged by Moving Arts in Los Angeles, Ensemble Studio Theatre in New York City, The New Theatre in Boston, Mobtown Players in Baltimore, and Red Octopus Productions in Little Rock. Werner was a resident at the Mount Sequoyah New Play Retreat in Fayetteville. His play Lawn Dart won first prize in the Contemporary Arts Center of New Orleans New Play Competition. He was the first playwright to receive the Porter Prize, an Arkansas literary award recognizing outstanding achievement by an Arkansas writer. Werner’s play Disfarmer about Arkansas photographer Mike Disfarmer, was featured in Theatre Squared’s Arkansas New Play Festival. It was subsequently mounted at the first ACANSA Arts Festival. His full-length comedy You Have to Serve Somebody is published by the Dramatic Publishing Company; several of his short plays are published by Playscripts, Inc.; his dark one-act comedy Killers is published through Original Works Publishing; and a monologue from Killers is included in the The Best Women’s Stage Monologues 1999, published by Smith & Kraus. Werner has an MFA in Playwriting from Boston University. He is a Theatre Arts professor at Pulaski Technical College and an adjunct faculty member at Hendrix College, his alma mater. He has also served as a dramaturg at the Arkansas Repertory Theatre and was a writer for the Arkansas Democrat-Gazette. Tod Switch has worked as an architectural photographer since 1991. In that capacity, he has had many artistic experiences while traveling throughout the US and eighteen countries around the world. Making the transition to the fine arts in 2010, he started by using what came naturally to him, visualization. He saw intrinsic beauty in found objects and transformed them into his own vision with the addition of metal, wood, and stone. Composition, form, and perspective, concepts he utilized daily with photography, are now put to use in his sculptural work. His sculptures often combine different materials and fabrication processes. Many works are one of a kind or unique in a series. He currently is working on a series of keyholes as well as a series of city blocks, which are a variety of wood blocks, laser etched with architectural images that I have taken from around the world. They will be capped with copper, bronze, brass, or nickel. Tod has shown at Sculpture at the River Market. In 2015, he won the Best of Show Award and in 2016 received an Award of Merit. His temporary installation was chosen for the Arkansas Arts Center’s Fountain Fest in 2015, as well. He has also taught seminars for the Arkansas Arts Council. His goals in public art are to appeal to the largest audience and have them say, “I wish I would have thought of that,” and to produce site – specific works of art that will stand the test of time. Spencer Sutterfield is an arts educator and leadership trainer. He appears on the Arkansas Arts Council Arts in Education roster as well as being a 2016 Regional Arkansas Teacher of the Year as well as the Little Rock School District Teacher of the Year. He specializes in theatre and speech education, team building, dramatic play, and directing actors of all ages. Diagnosed with dyslexia at age 8, Spencer has an inspiring story of perseverance and achievement that underscores much of his teaching artist work. He has a bachelor’s degree in Theatre Arts/ Speech Communication Education and an M.F.A. in Drama and Theatre for Youth and Communities. Spencer has dedicated more than a decade to using theatre as a tool to inspire and educate. Spencer has directed plays for young audiences at the university and high school levels including The Arkansaw Bear, Mother Hicks, Holes, and The Imaginary Invalid. As a graduate student, Spencer wrote, directed, and performed in a documentary theatre piece about the experiences of students with dyslexia. This piece was accepted for entry into the University of Texas at Austin’s highly competitive Cohen New Works Festival. He later incorporated a shortened version of the piece into a professional development workshop he facilitated across Texas and Arkansas. Spencer currently holds the position of Drama Specialist at Parkview where he serves as the Drama Department Chair. In this position, he directs main stage productions and a yearly student-devised performance about Arkansas history that tours to elementary and middle schools. In addition to directing, he teaches year long, in-depth courses in Theatre History, Children’s Theatre, and Ensemble Theatre for 10th through 12th grade theatre students. Spencer has also taught Introduction to Improvisation and Introduction to Theatre on the college level. He also has taught for several years at Arkansas Governor’s School.